It happens at some point to even the most seasoned laboratory technician that a spill occurs within the Biosafety Cabinet (BSC). Taking precautionary measures before and during your work with hazardous materials could help keep you and others safe. Remember, if a spill occurs, don’t panic. 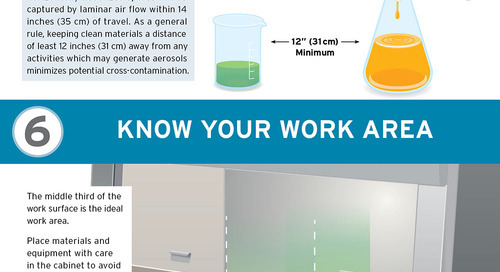 Here are some simple steps to keep you and your laboratory safe. 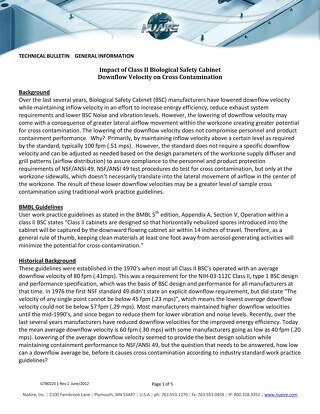 Please check with your Environmental Health and Safety (EHS) office or Biosafety Officer to ensure you have proper steps in place in case of a spill based of standard Biosafety in Microbiological and Biomedical Laboratories (BMBL). 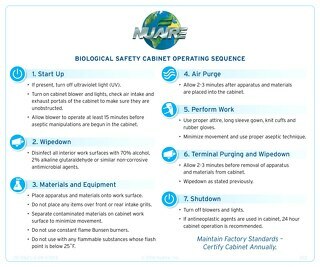 Learn the proper use procedures from start up to shut down when using your Biosafety Cabinet. Watch what items you should check off your list once your pharmacy isolator arrives at your loading dock. 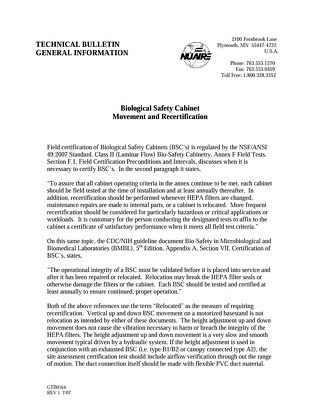 We asked NIH National Biosafety and Biocontainment Fellows what some of the most common mistakes made when working with a Biosafety Cabinet. 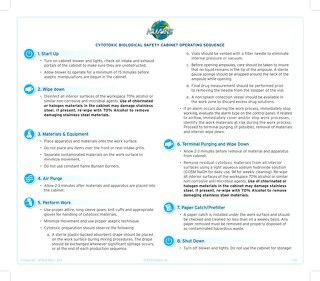 When working in your biosafety cabinet with hazardous drugs it is important to learn the proper procedure from beginning to end. 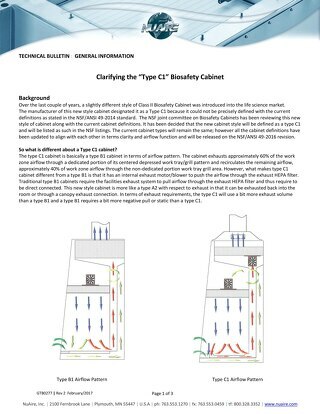 Good technique when working within a Class II Biosafety Cabinet will minimize air turbulence and prevent splatter or unwanted spread of aerosols. 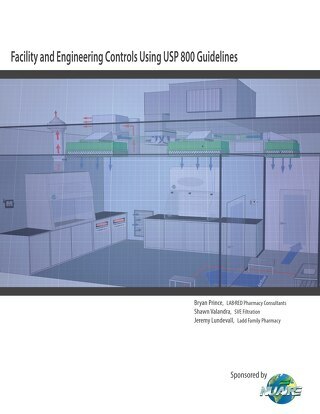 The focus of this article is to discuss the details for consideration of a good working design of a USP 800 compliant compounding lab. 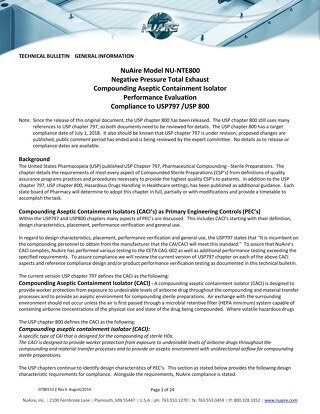 Changing gloves on your Compounding Aseptic Containment Isolator must be done on a routine basis. Follow these simple steps to safely change your CACI gloves. Testing the adjustable base stand of your new pharmacy isolator is a great way to ensure your product is workly correctly. Maintain sterility in your PharmaGard isolator by avoiding disrupting air over items located on the work surface. 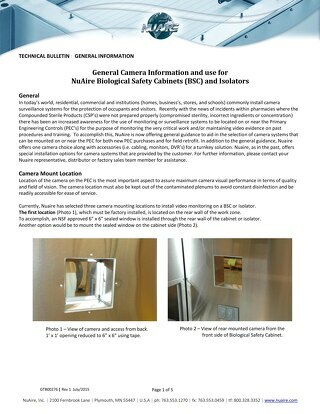 Work in a safer environment with NuAire electronics monitoring and controlling your work environment. 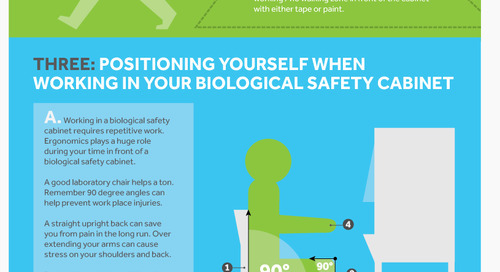 Minimize workplace injuries working the comfort of a LabGard Biosafety Cabinet. 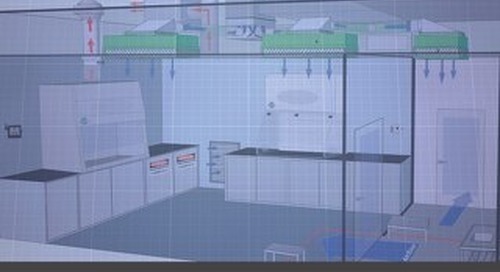 LabGard Biosafety Cabinets (BSCs) are constructed to last longer keeping you and your laboratory safe. 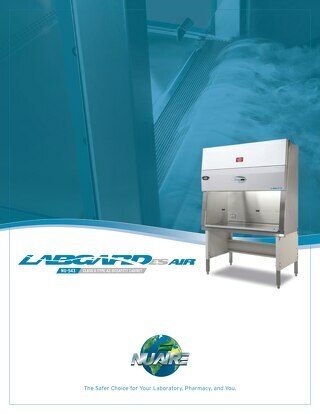 The LabGard NU-500 Series Class II Biosafety Cabinets from NuAire provide you the very best in design, ergonomics, and technology.